The Rawah Wilderness is a beautiful backpacking loop located about 2 hours west of Fort Collins, CO. It is incredibly gorgeous and a bucket list stop for any backpacker. There is about 4,000-5,000 feet of elevation gain depending on where you go and the entire loop is roughly 15-25 miles depending on how many side trails you choose to take. The Rawah Wilderness is not as well known as the Rocky Mountain National Park trails so it has less traffic and feels much more secluded. The most popular loop on the Rawah wilderness trail is the West Branch Loop and it starts at the West Branch trailhead. If you live outside of Colorado, the easiest way to get there is to fly into Denver then make the 3 hour drive out to the trailhead. If you're flying in later in the day I'd recommend car camping the night before at one of the many campgrounds you come across before getting to the trail (shown on the right). The Cache La Poudre River runs along the road for the last hour on the way to the trailhead. There are 5-10 mini campgrounds along the way that you can stop off at. These campgrounds usually have 3-10 camp sites and a pit toilet. They're right on the river and make awesome car camping spots. The last 15 minutes of your drive leading up to the trailhead are on a dirt road. If there's been a lot of rain lately, be prepared for a bumpy ride and if possible, don't drive a small car. We used an SUV and didn't have any issues. 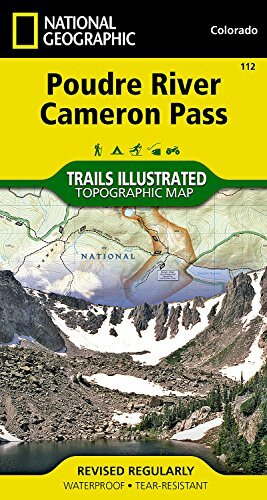 The best map for hiking the Rawah Wilderness area is the National Geographic Poudre River Cameron Pass. It's a topographic map with the trails mapped out. There are some pretty significant elevation gains so having the topographic map is extremely useful. You can see the main Rawah Wilderness loop trail in red on the map below. This is what the National Geographic maps look like except trails are marked with dashed lines. The National Geographic trail map is very detailed and does a nice job highlighting the lakes along the trail which are definitely worth stopping at. The most notable are the Twin Crater lakes, Blue Lake, and Camp Lake. There are no designated camp sites in the Rawah Wilderness so there's nothing marked on the map. There are some obvious camp sites that are frequently used, mostly by the major lakes. I backpacked the Rawah wilderness in the middle of August so it was one of the warmer times of year. Even going during the warm season, it was near freezing at night and when it was foggy/rainy/windy it felt very cold. If you go earlier in the year there can be enough snow on the trail that it's impassable without snowshoes. If you are planning to go before July you should call the ranger station and check on the trail conditions so you know what you're getting into. As far as gear goes you will definitely want to make sure you pack a nice base layer of clothing and a sleeping bag that's comfortable to 30 degrees or less. I brought a rain jacket and used that as an extra layer when it was cold but it didn't provide much warmth besides keeping the wind off of me. I'd recommend bringing a down jacket that could double as a pillow at night. No. As of January 2018, you do NOT need to have a bear canister when hiking in the Rawah Wilderness. You do need one at Rocky Mountain National Park but not at Rawah. You should know how to hang your food bag to keep it away from squirrels, raccoons and the unlikely black bear. Depending on what time of year you go, you may run into enough snow on the trail that you can't go any further (aka higher in the mountains) without snow shoes. Generally by early August most of the snow on the trails is gone. If you go earlier in July you will likely run into snow. I went in mid August and it was in the mid to high 30's at night. I slept in full dry fit gear (long pants, long sleeves) and a 20 degree sleeping bag and was comfortable at night. If have to get up during the night to answer nature's call, you will lose all of your heat and it will take some time to get back up to temperature. Can you fish in the Rawah Wilderness? Yes! 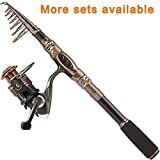 There are a ton of fish swimming around in the lakes and if you like fishing then I'd highly encourage you to find a nice backpacking fishing rod and bring it with you. You will need to bring artificial lures and make sure you follow all of the local laws on permits, fish sizing, etc.